Two pro-cooking insiders (a chef and a writer) analyze the week’s biggest industry news and engage in shop talk with a wide variety of guests, ranging from A-list chefs to line cooks, culinary students, writers, and icons. 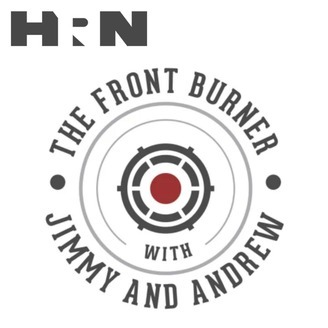 With guests booked just days before each episode, THE FRONT BURNER WITH JIMMY AND ANDREW will help listeners make sense of goings-on in the cooking trade by allowing them to hear directly from newsmakers and experts live and in their own voices. Think of it as Meet the Press, for chefs. 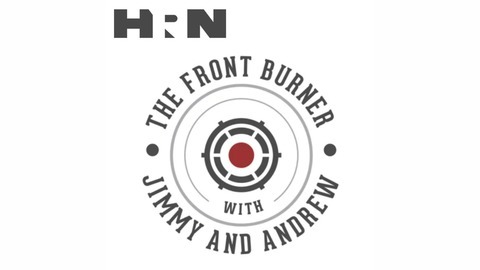 In The Front Burner's last episode (details and future plans at episode's end), we talk with Boston chef Barbara Lynch about her no-holds-barred memoir OUT OF LINE: A LIFE OF PLAYING WITH FIRE, which is about as revealing a book--by a chef or anybody--as you'll ever read. Then we welcome Chef Brock Johnson of Seattle's legendary Dahlia Lounge for a catch-up on the Pacific Northwest in general and Chef Tom Douglas' empire in particular.